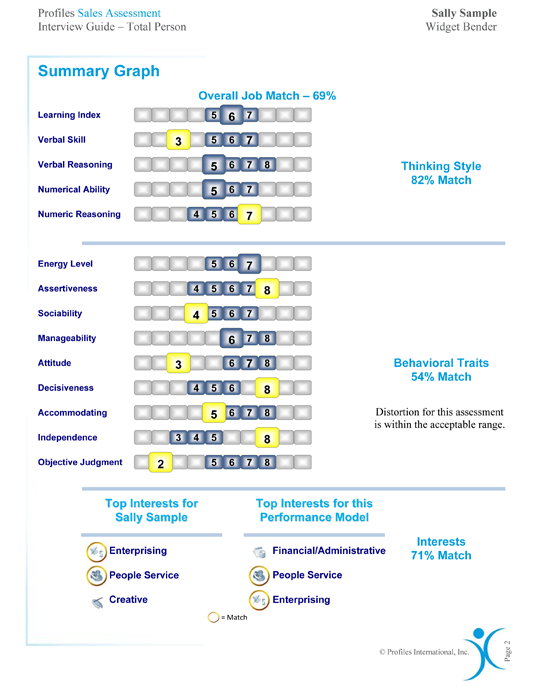 The PROFILES SALES ASSESSMENT™ measures how well a person fits specific sales jobs in your organization so that you can optimize sales performance. It is used primarily for selecting, onboarding and managing sales people and account managers. The "job modeling" feature is unique, and can be customized by company, sales position, department, manager, geography, or any combination of these factors. The sales assessment enables you to evaluate an individual based on the qualities required to perform successfully. The data is based on the top-performing sales people in specific sales jobs in an organization. 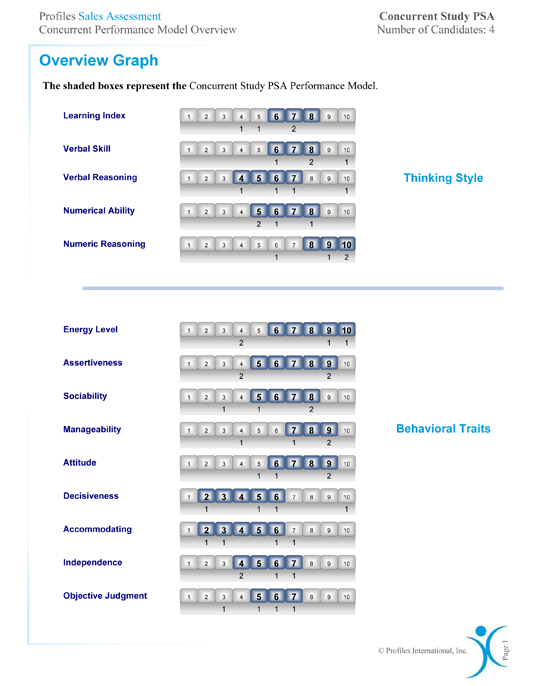 This sales assessment also predicts on-the-job performance in seven critical sales behaviours: prospecting, call reluctance, closing the sale, self-starting, working with a team, building and maintaining relationships, and compensation preference. 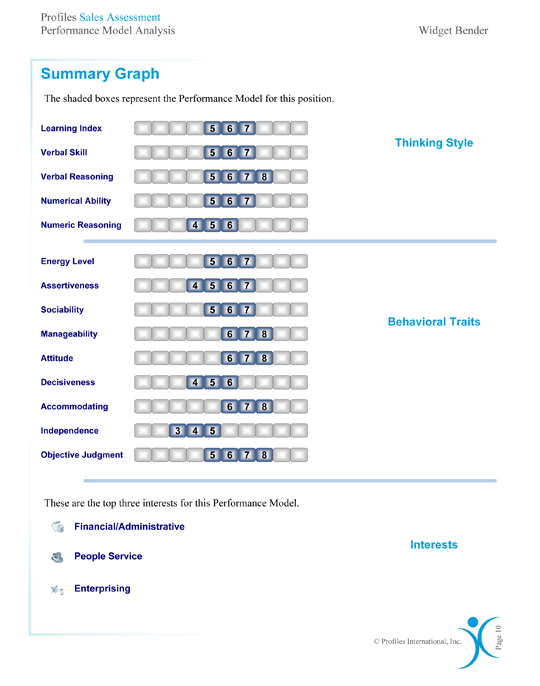 The PROFILES SALES ASSESSMENT™is used for selecting and motivating sales people in order to maximize and increase sales performance. Our client wanted a better way to select highly productive sales personnel. Our assessments helped them to improve rep productivity by 15% and reduce overall attrition by 33%. Useful for the hiring manager. Indicates a candidate’s characteristics and fit with customized job modeling. 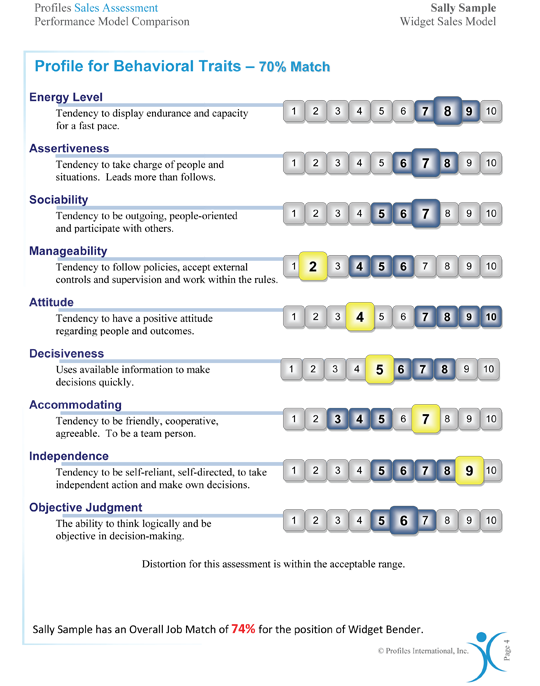 Describes candidate’s traits and abilities in easy-to-read format. Useful to the manager and interviewer.